Controlled folder access helps you protect valuable data from malicious apps and threats, such as ransomware. It is part of Windows Defender Exploit Guard. 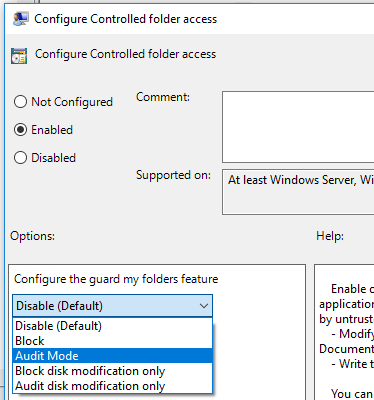 Controlled folder access is supported on Windows Server 2019 as well as Windows 10 clients. The Controlled folder access feature will display the state in the Windows Security app under Virus & threat protection settings. If the feature is configured with Group Policy, PowerShell, or MDM CSPs, the state will change in the Windows Security app after a restart of the device. If the feature is set to Audit mode with any of those tools, the Windows Security app will show the state as Off. 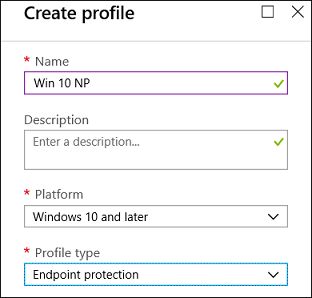 See Use audit mode to evaluate Windows Defender Exploit Guard features for more details on how audit mode works. System Center Endpoint Protection Allow users to add exclusions and overrides For more information about disabling local list merging, see Prevent or allow users to locally modify Windows Defender AV policy settings. 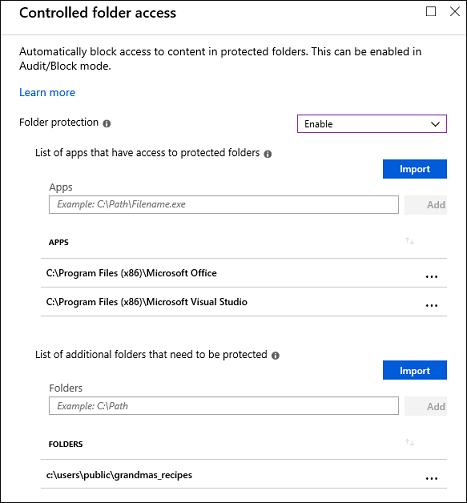 Type the path to each application that has access to protected folders and the path to any additional folder that needs protection and click Add.